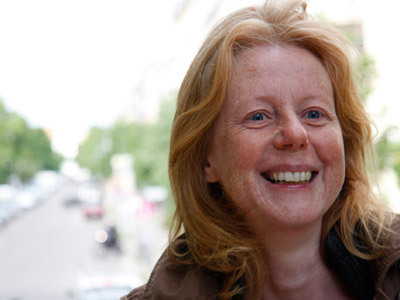 Elke Sasse studied literature at the Free University of Berlin before taking up work as a freelance author and journalist for the features, culture and political editing departments of the ORB and DLF radio broadcasting companies, followed by the ARD and ORB political television magazines. Since 1994 she has focused on longer documentaries and reports. Her films centre on people from all walks of life: refugees living in Germany, East Germans who moved to the West, children who battle with dyscalculia and dyslexia. She takes to the road with binmen and septic pipe cleaners, ethic Germans from Russia stranded in Eastern Europe, refugees and contract workers. Her films have documented the everyday lives of garlic growers in China, Berbers in East Germany, wedding musicians in New York and dancing senior citizens in Berlin. She has entered the world of the mentally ill, reconstructed the stories of former forced labourers, and tried to understand our general sympathy for gangers and other scoundrels.